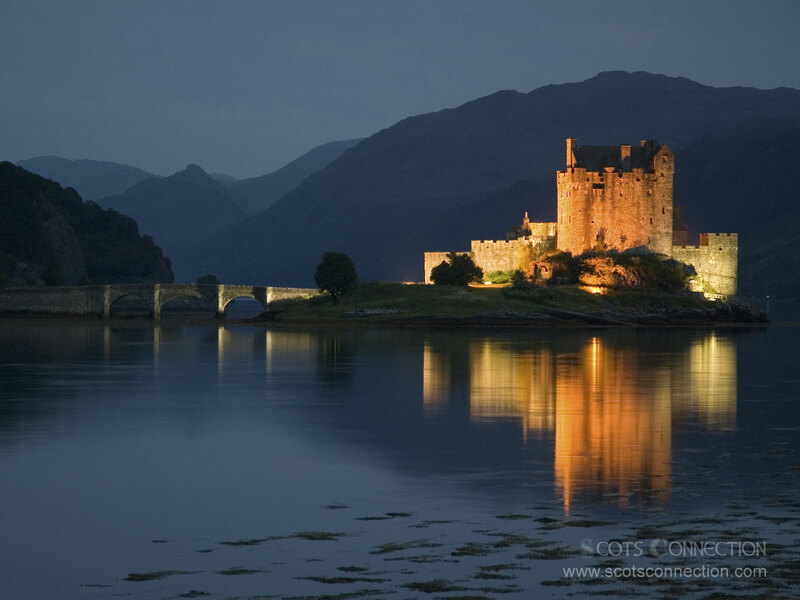 This free computer wallpaper features a floodlit Eilean Donan Castle at Dornie in the Western Highlands of Scotland. The first stone built castle was constructed in the thirteenth century to guard over the lands of Kintail. Throughout time the mighty Eilean Donan has been rebuilt, altered and much restored. The castle stands on a rocky island at the meeting point of three sea lochs and is surrounded by some of Scotland’s most spectacular scenery. 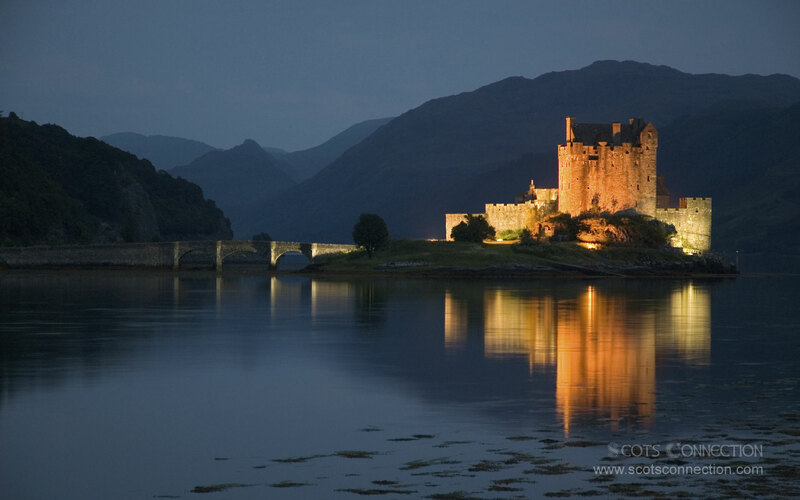 It is therefore no surprise that Eilean Donan is now one of Scotland's most visited castles.